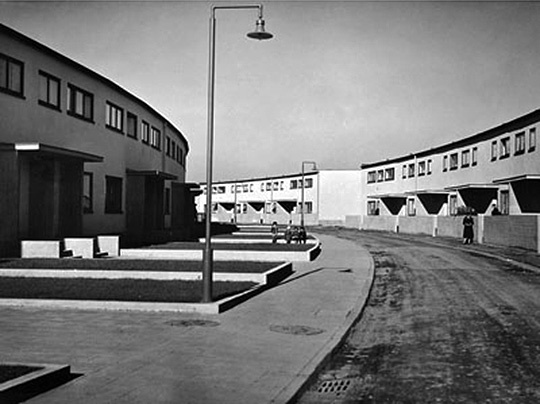 The settlement of Römerstadt, located north of Frankfurt is one of the representative examples of urban planning and residential architecture produced in Germany at the end of the second decade of the twentieth century. It is a popular housing area that has some picturesque due to the influence of where they are located and also meets aesthetic standards of the call New Objectivity. The work done by the city of Frankfurt in the decade beginning in 1925 is an exemplary effort to solve the housing shortage popular. And, perhaps, most relevant episode of the important social work was done in many countries to address one of the fundamental needs of the most disadvantaged, the right to adequate housing. 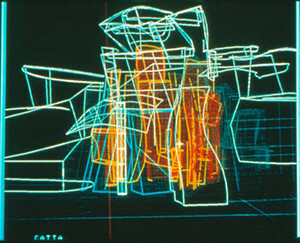 In those years, considered to design efficient and rationalizing the collective residential space as a sign of progress. It was a political root orientation would be a decisive influence, related not only in quality of life, but also in the search for the overall improvement of human behavior of its inhabitants. 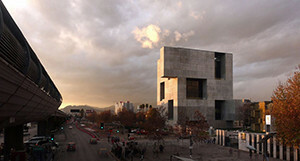 A positivist ideology which regarded architecture and urban planning as a vehicle for positive change towards better collectively assumed social values. To its proponents are trying to produce a revolution in the manners and customs within the existing democratic and economic conditions, leading to the elimination of existing evils poverty and unsanitary related to building. 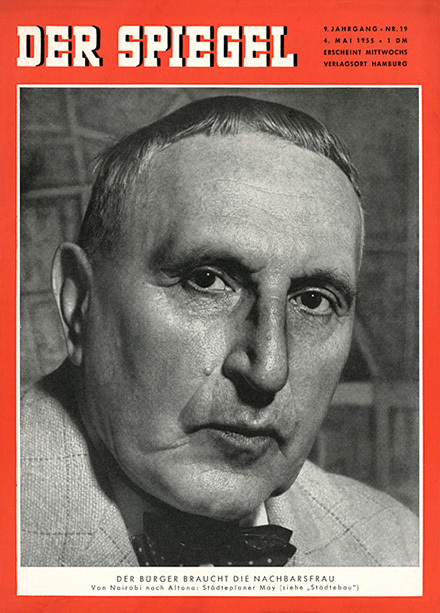 With progressive budgets in order to represent the interests of the working classes, to 1925, the German Social Democratic Party to achieve local control in Frankfurt, that important city of the region of Hesse in Southern Germany. 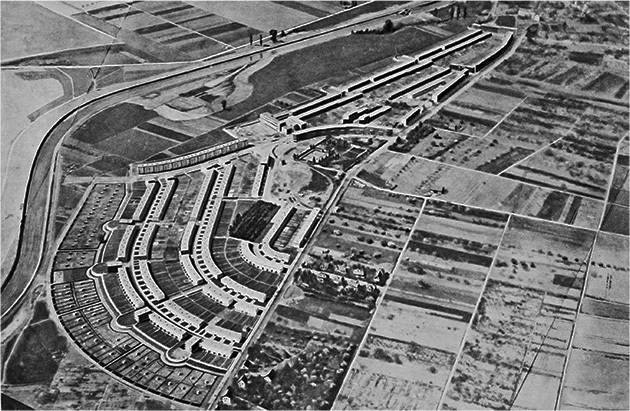 Thereafter, under the leadership of Mayor Ludwig Landmann, seconded by his political team, Social-important launch a massive construction operation cost housing neighborhoods. 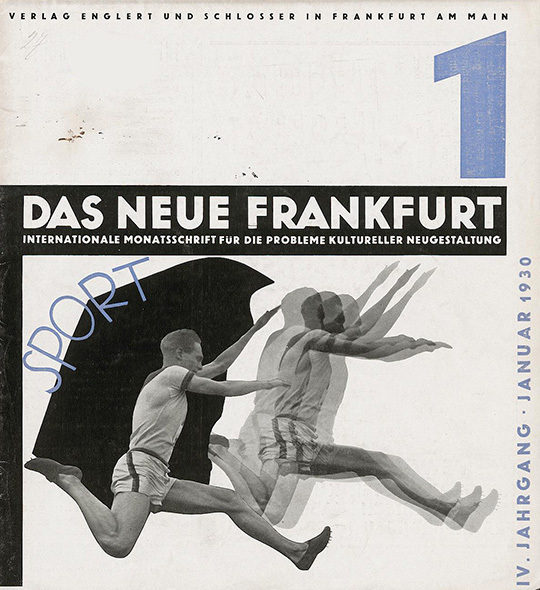 A collective process became known later as New Frankfurt (New Frankfurt) in reference to the periodical would release executed ideas and proposals that would have a decisive influence in those years. Result, Frankfurt grow dramatically new, will eventually creating several tens of thousands of residential units, between 1925 and 1935. Fundamentally north of the city, in the Nida river environment, afluente Main, the main river of the region. Nada mas bequeathed to, the Social appoint the architect Ernst May as Stadtbauram (Municipal Inspector of Public Works) and Head of Department of Civil Engineering (Head of the Department of Urban Development), an unusual concentration of power and responsibilities techniques that would have a decisive influence on the peripheral expansion of Frankfurt for over a decade. To achieve its objective, consisting of solving the problem of housing shortage- May knew organize and surrounded by an extensive and highly efficient technical team. It included many helpers as Martin Elsässer supervision by building, Max Boehm as urban development planner and Max Bromme, responsible for landscape design. 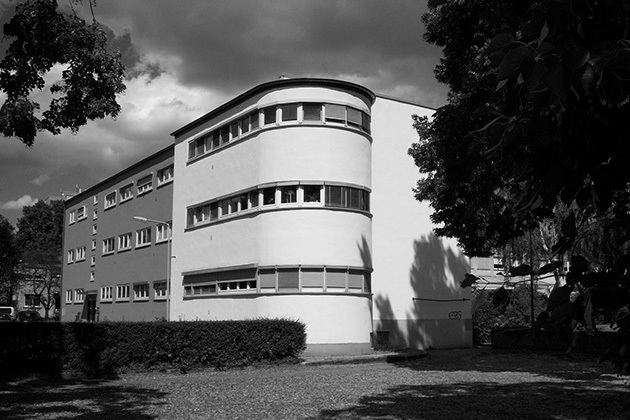 Binds to them, would integrate a large team of collaborators and consultants, among which was the influential architect Walter Gropius in Dessau. May The rugged quickly addressed various issues related to the planning and architecture, including cutting-edge research, to seek the establishment of residential building unified criteria and coordination in the city's comprehensive planning. 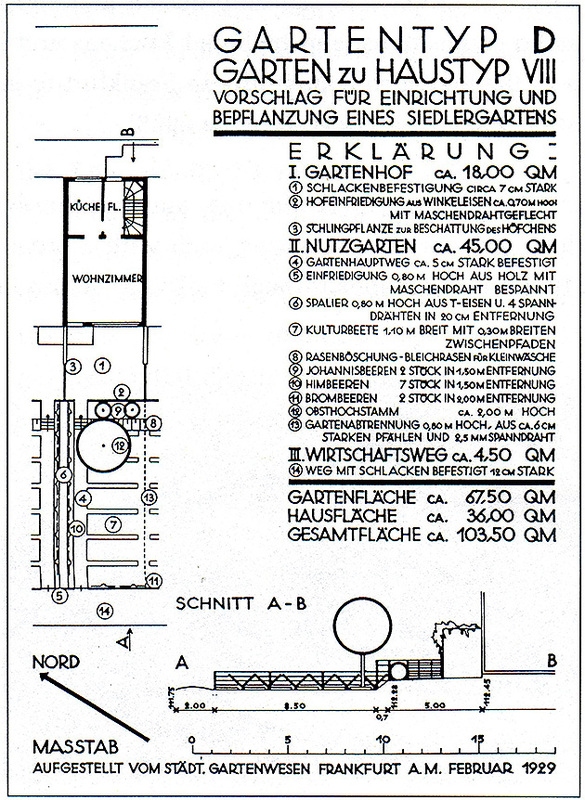 Inthe first case, Studies have reference to the Minimum eXistenZ developed by Allen Klein, which would lead to calls Frankfurt standards, a building code that would standardize many aspects of the construction, The shape and function of housing. Also, and as a result of the effort in the proposal and execution of successive developments, also would eventually form a comprehensive view of the expansion of the city in the call Area distribution plan (Plan of Distribution) projected Frankfurt 1928. 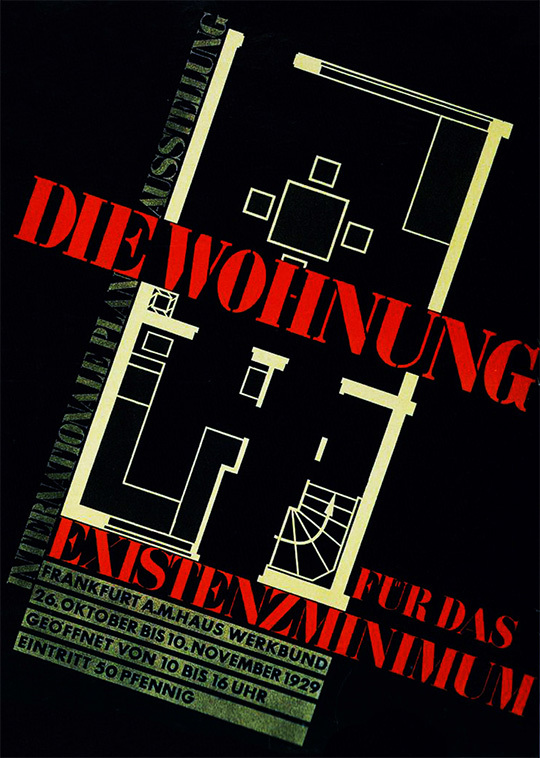 All this effort was presented at the Second International Congress of Modern Architecture (CIAM) to be held in the city in 1929 under the theme of Shelter for the existential minimum (The apartment for Existensminimum). 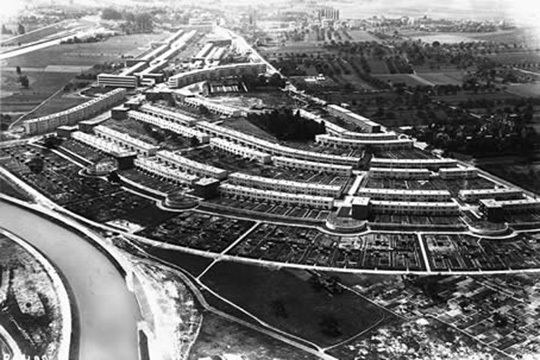 In the decade, as a result of all this immense effort made numerous developments be built low-density housing on the outskirts of the city that would fit in the corresponding urban development plan. The plan makes a thorough recognition of the territory surrounding the city. And as a consequence of the existence of a large area of ​​forest south (Frankfurt City Forest) -deemed necessary to preserve the development- executed planning that focus primarily residential growth north of the consolidated city, location as a frame of Nida Valley, reserving the Main River east and west for a more productive development industry. May propose the Area distribution plan a set of developments, satellite or, in its name, city-daughters who would be defined as residential block groups with wide open spaces and alignments of low-rise townhouses with associated garden, shaped to ensure good sunlight and ventilation of indoor enclosures. 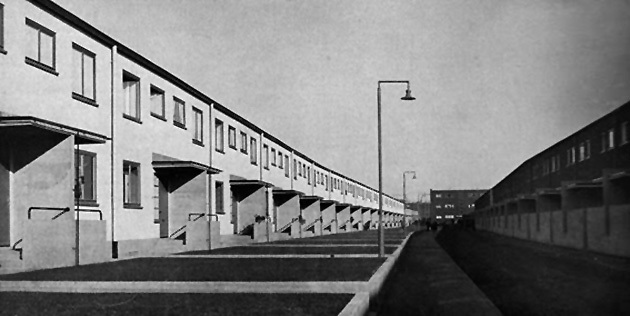 In case the rows of low-rise housing, the basic building type would have a rather small compared to current standards. Be defined following the criteria of the minimum space needed and achieve conveniently accommodate a family of four in two bedrooms with the master bedroom of stay and ancillary spaces bathroom and kitchen. In this approach would have a decisive reference the ideas of British planners and especially, influential book of Ebenezer Howard published in 1902, Garden cities for tomorrow (Garden Cities for the Future). 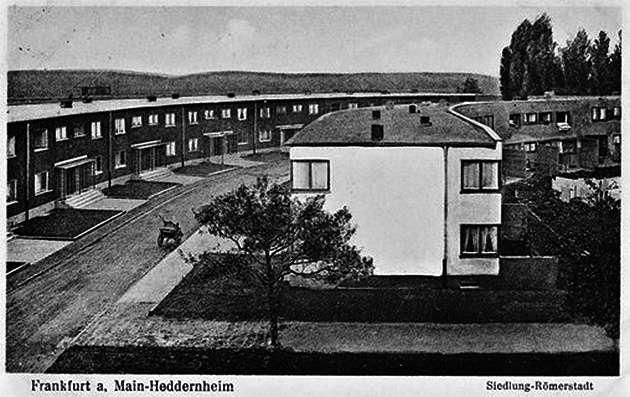 However, front of building sustainable communities advocating Howard, Frankfurt architects propose residential developments supported smaller scattered in some small rural towns preexisting. In those years, be built over 25 of these housing settlements or Settlements. 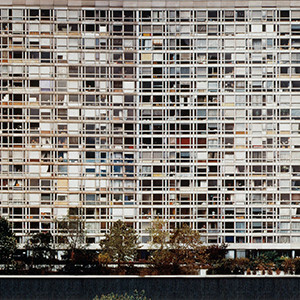 From among 300 and 1200 housing. 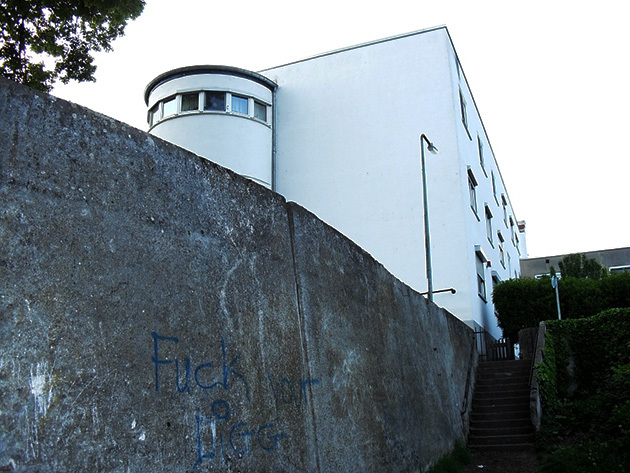 Among themselves, stand Westhausen, Praunheim, Höhenblick, Lindebaum and, above all, Roman Town; neighborhoods that have been an example to many of the European public housing construction would be done after. In this concept of the architects of Frankfurt, was essential that access to work and leisure consumer relations should be ensured complementarity with the implementation of an efficient public transport system based on trams, called Tram, to communicate the various developments with the center and the other parts of the enlarged city. All Settlements the Frankfurt, assembly 1200 dwellings called Römerstadt, would be worth the effort later of the quality of public spaces common, the interesting composition designed for adaptation singular treatment topographic and protection of its edges in contact with the river. 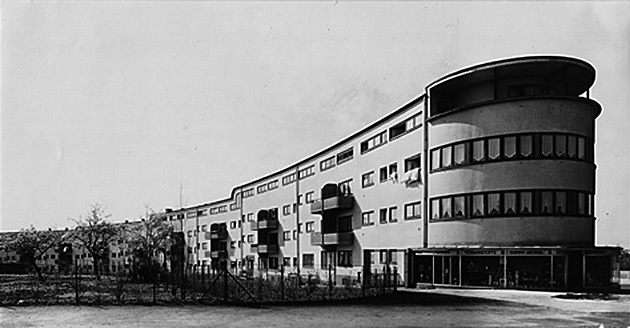 The Settlement Römmerstadt, was one of the latest proposals designed under the responsibility of May and Boehm, that would end in 1935, years after the replacement of political and technical team that would implement this effort in that city. The urban planning of Römmerstad relies on an extremely rational design adapts to the ground and, above all, a deep study on the conditions Nida River basin. As a result the project solution takes into account the recurring floods in the river water level for the provision of houses and their placement behind walls and spaces protective barrier. 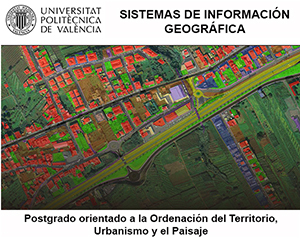 The composition of the urban layout structure defined in long parallel streets lined with rows of houses and facing to suit the natural disposition of the topography down to the river. Urbanization is thus divided into two clearly differentiated by plotting a freeway embankment perpendicular later on top, current Rosa Louxembourg Strasse. This division into two groups is a result of the two temporal phases in its construction was executed. 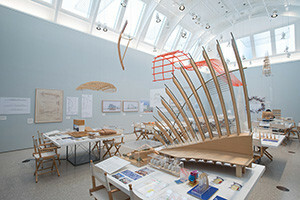 The first sector of the set made to this layout adopts a more curvaceous in adapting to the topography of the site. The group turns north streets to hole perpendicular to In der Römmerstadt, the road connecting the new location with the territory. The long arc chopped apples to avoid over alignments 15 row houses, thus introducing perpendicular pedestrian plazas ending in semicircular, acting as lookouts over the gardens and orchards near the river bend. The final image from the river up a fortification is low with regularly spaced towers. 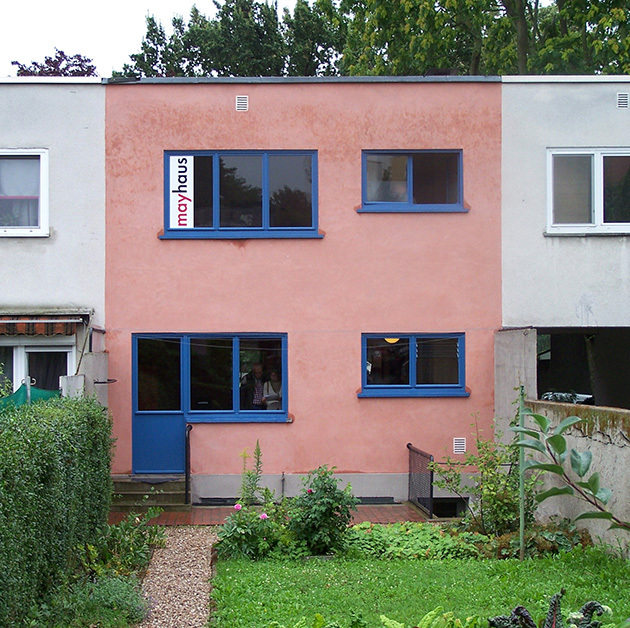 The second largest group is positioned almost parallel orthogonal to the main path In the Römertadt and rows of two-storey apartments are divided from time to time to allow also integrate small meeting spaces available as a high on river valley. These points serve as a staging ground for the development of the streets and are designed to avoid the monotony of the long lines of houses. Those rows that are placed in the lower position is protected against flooding of the river with a high wall that aterraza the ground and gives access by stairs to landscaped areas and trees growing with alignments, located in a higher position in contact with the river. At its center along the Adriaanstrasse, lie the two landmark buildings designed by HC. Rudloff, that wind arc containing apartments and commercial services on the ground floor. They are the most outstanding pieces of architecture of the whole and express with emphasis on their ends semicircular design that will formally renewing. The complex covers an area of 47 acres along a mile off the access road Im the Roman Stadt. The set has a low density housing, around the 25 units per hectare. This feature has to do with the high reservation of land needed for defense against flood water. The pattern of each of the more common in homes Römmerstadt corresponds to a two-storey construction with formal garden have all front and rear landscaped garden courtyard forming long lines of abutment. The interior layout meets minimum housing studies conducted by the team of May, surface with a ratio between 12 and 15 m2 per user and that is precisely tuned to the ideas and directions extracted from the Subsistence. 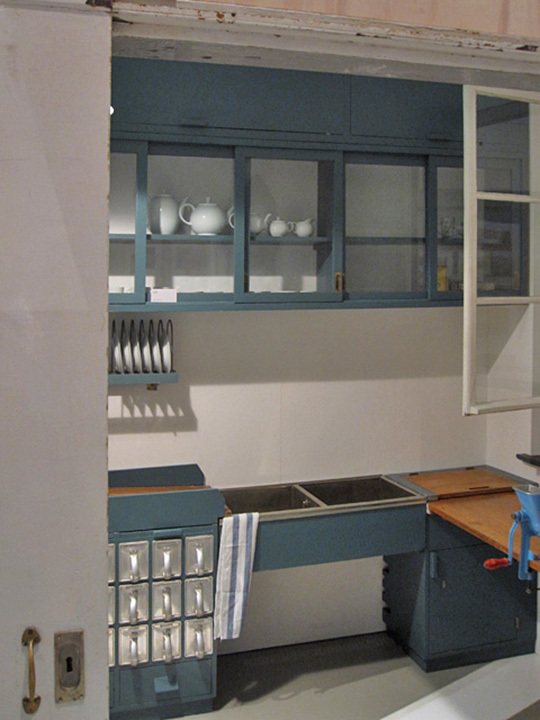 The kitchens were designed by the Austrian architect Grete Schütte Lihotsky of today claimed both his role from the feminists. These reduced enclosures were studied following the proposals for functional standardization Frederick Taylor to achieve minimum space required. 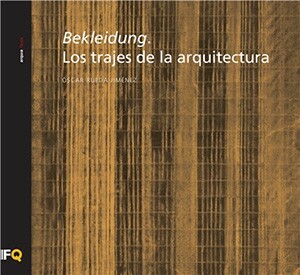 The short housing construction was highly prefabricated and formally respond to the call essentialist criteria New Objectivity (New Objectivity). 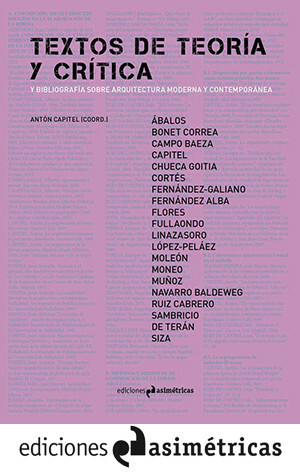 An aesthetic approach is to strip all the architecture of decorative hardware, leaving clean building decorative hardware, reduced the space needed for a generic operation: This trend would lead to general artistic systematic debugging of shapes and volumes are thus reduced to an abstract schematic cubes and parallelepipeds. The entire production process, although it was largely led politically in its infancy from the municipality, finally was done by setting up specific cooperatives had direct responsibility for the control and monitoring of construction operations. All, based on custody and financial support from the municipality itself exercised. After more than eighty years, New Frankfurt continues to serve as an example of collective self-organization and inspiration on how to tackle the current needs in this area.